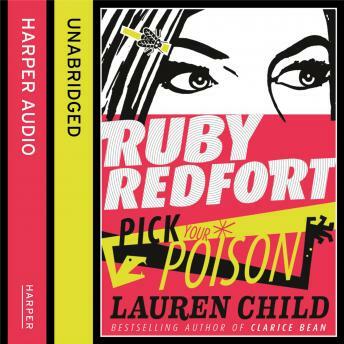 Ruby Redfort: undercover agent, code-cracker and thirteen-year-old genius - you can count on her when you're between a rock and a hard place. There's a lot to lose sleep over in Twinford: there's the snakes and the bivalves, but they aren't half as poisonous as the rumours. With so many twists and turns it's hard to know who to trust, particularly when no one trusts you. Will Ruby make it out in one piece? Well, happy endings are for fairy tales, bozo.